Beer is included at 3 locations on this 4 hour walking tour which showcases two of San Francisco's most famous and scenic neighborhoods! You and a crew of no more than 12 drinking buddies will join a friendly and knowledgeable local craft beer enthusiast. He will bring the area to life with historic accounts and fascinating local stories, while helping you take advantage of great photo opportunities. 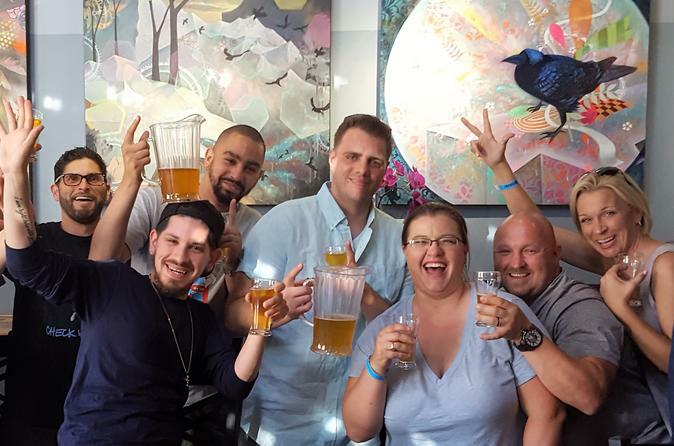 The tour is as much about beer as it is about the city, so you will pop into 3 of San Francisco's top beer bars along the way to sample some of the best craft beer the Bay Area has to offer (beer included in tour price). While enjoying the local product, the conversation will switch to beer and your guide will share insight into the San Francisco beer scene, brewing techniques, beer styles and more. Learn. Drink. Celebrate!